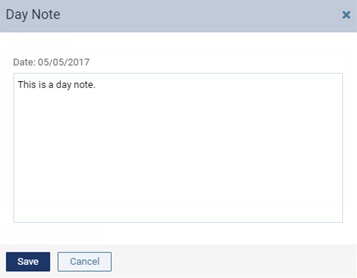 You can enter a note for any day on the schedule. Click (or tap) the gray Day Note icon (a blue icon indicates that there is already a day note). On the Actions menu, click (or tap) Create Day Note.